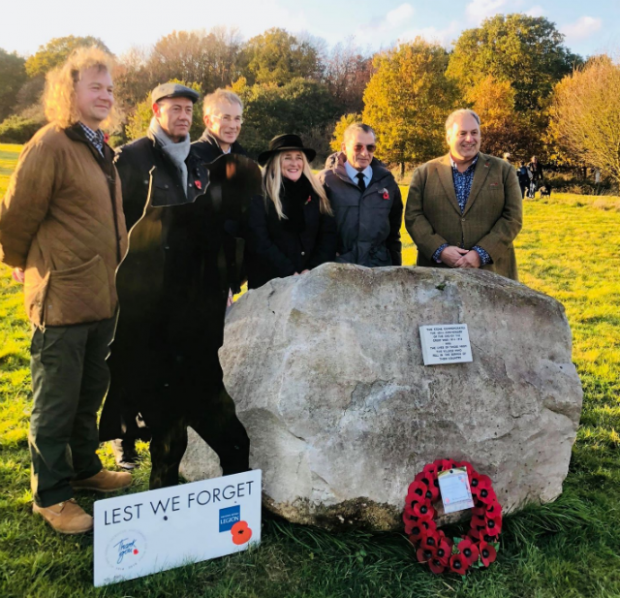 A sarsen stone from Natural England's Thames area’s Aston Rowant National Nature Reserve in Oxfordshire has been donated to Ibstone Parish Council to commemorate the village’s war dead and mark the centenary of the end of The First World War. 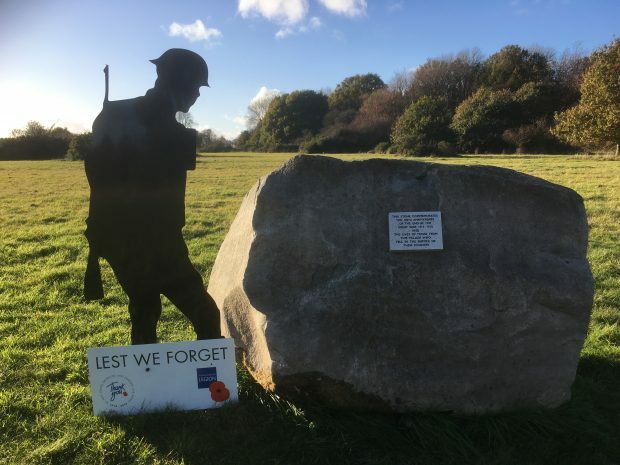 Six men from the village of Ibstone, set high in the Chilterns Area of Outstanding Natural Beauty, lost their lives in service of their country in the First World War. Ibstone Parish Council wanted to commemorate the Centenary with a monument that was eye-catching, but discrete and in keeping with the rural landscape. A local sarsen stone placed on Ibstone Common, courtesy of the Wormsley Estate, was decided upon. But where to find it? The search was short lived. The Parish Council discovered what they were looking for at Aston Rowant National Nature Reserve. Finding just the right stone could have posed a problem, so we were delighted to discover the perfect sarsen stone at Aston Rowant. It’s large, rugged, and timeless. We wanted the memorial to feel very rural, in keeping with the village, and reminiscent of what Ibstone would have been like when the soldiers lived here. We were more than happy to be able to help Ibstone Parish Council by donating the stone. It belongs to this landscape that was so familiar to the soldiers when they went to war. It’s a fitting memorial for those who never came home, and a poignant reminder of the peace we all seek as we commemorate the centenary of Armistice Day. Moving the stone was a feat. Weighing around three tonnes and measuring 5ft x 4ft made it a challenge for local crane driver, Mick York to hoist and move six miles on his flatbed lorry to its new home on Ibstone Common. However the team involving Mick, Councillor Grimsdale, her husband and fellow Councillor, Michael Wright, managed it skillfully. The stone has been carefully placed at an angle on the edge of the Common so it is visible from the Ibstone Road and to walkers on the footpath. 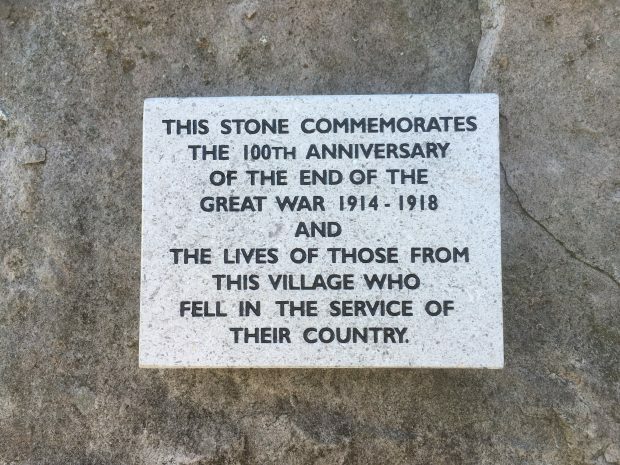 A simple limestone plaque commemorating the village’s fallen soldiers is attached to the stone. A memorial service was held involving the local community at 3pm on Sunday 11 November, led by the Reverend Mark Ackford. It was a privilege to be asked to help with this project, and to be able to support the local community by giving something that will endure. Around 100 people of all ages attended a very fitting low key, local service for the village of Ibstone. Local lad, Bobby Howard Jones, played ‘the Last Post’ and ‘Reveille’. Truly moving.